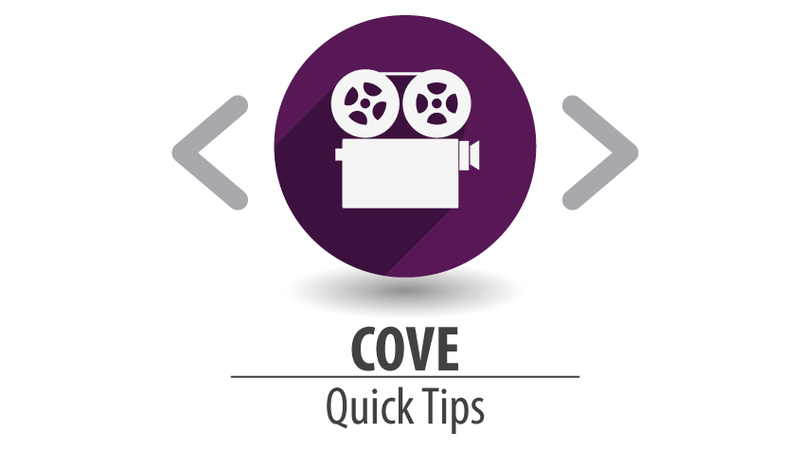 You most likely noticed the updated COVE admin interface we recently launched. The primary goal of the deploy was to address backend capacity issues related to ingestion and publishing. Remember the dreaded "Thomas Error"? In addition to infrastructure improvements, we also made some UI enhancements. In the next few posts, I'll be showing you some of the new features in the updated COVE admin—from little known "easter eggs," to process improvement tips and best practices we've learned from stations throughout the system. Needless to say, this is the beginning of a beautiful series.